A simple, rustic French dessert that defies classification. This past weekend I had a sudden yearning for clafoutis, the classic dessert that every French grandmother has in her repertoire. 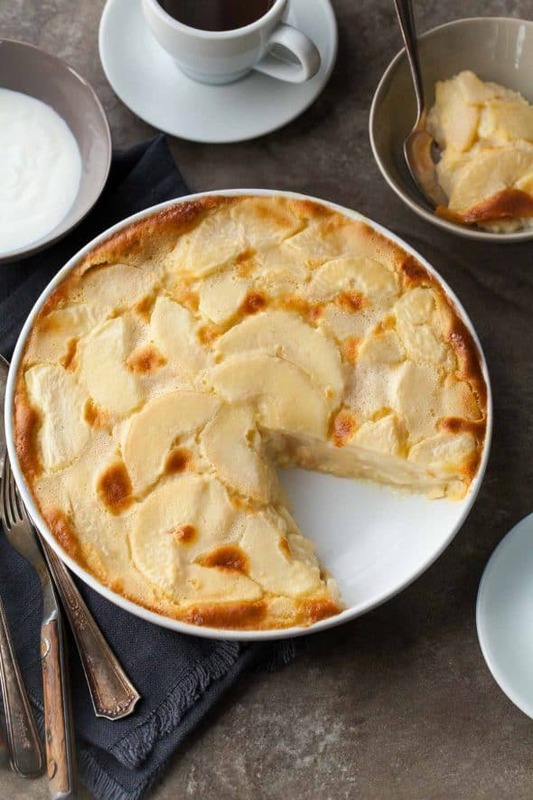 Clafoutis is one of those rustic desserts that defies classification. Imagine a cross between, a Dutch baby pancake, and a flan, studded with seasonal fruit. The combination of warm juicy fruit in a silky baked custard base is a pretty irresistible one. It’s a simple, unpretentious dessert, but one that’s guaranteed to please. 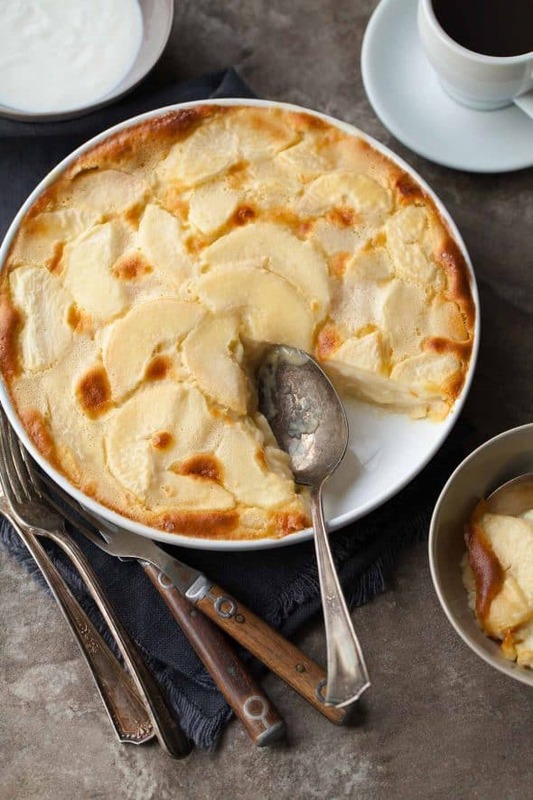 A classic throughout France, originally hailing from the Limousin region, clafoutis is thankfully also delightfully easy to make. Like making pancakes, all you need are a few basic ingredients for the batter and some ripe fruit. 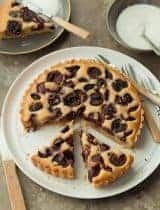 Now traditionally, versions made with anything other than cherries were referred to as flognarde instead of clafoutis (so you might still see that from time to time), but nowadays the term clafoutis has come to encompass all versions sweet and even savory so that’s what I’m calling mine. 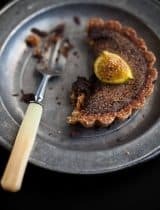 Whatever you choose to call it, the real joy of this charmingly rustic dessert is how simple it is to make, quickly whisk or blend together your batter, pour over a pile of thinly sliced pears and into the oven it all goes. As it bakes it will puff and brown around the edges but remain soft and creamy on the inside. 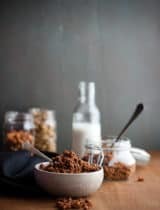 You can serve it warm from the oven for dessert, at room temperature for brunch or even cold from the fridge the next day for breakfast. It’s a sweet , cozy and comforting treat. 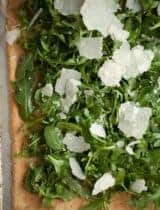 Preheat oven to 35o degrees F. Grease a 9-inch ceramic tart dish or pie plate with coconut oil; set aside. 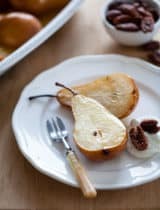 Gently toss sliced pears with lemon juice and layer evenly on the bottom of prepared dish. Blend coconut milk, eggs, vanilla, pear brandy, honey, almond flour, arrowroot and salt in a blender until smooth, about 1 minute. The mixture will be thin, like crêpe batter. Pour batter evenly over pears. Bake until golden and set, about 35-40 minutes. I made the clafoutis recipe today using coconut flour instead of almond flour. Comparing the result to a version I made from Julia Child's Mastering the Art of French Cooking, the French is more flan-like and a bit lighter. Her cooking temp and time are lower and longer. This version came out more cake-like, the pears were tasty, but I prefer butter and all-purpose flour to the coconut oil and flour (greasier for the oil, grainier for the flour). I added a dash of nutmeg which gave some depth. Vanilla ice cream would be a nice pairing. Hi Sylvie, I made your original recipe back in 2011 and I have made it again and again. 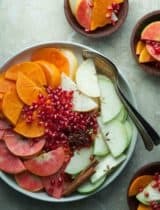 It's a great recipe because it reliably produces a great result every time and I can substitute other fruits. Tonight I made a flognarde using your updated recipe and with grapes instead of pears. It was delicious. Thanks to you! The ingredients list arrowroot, but the directions mention tapioca. Are they interchangeable? Which one should I use? Hi Paulina, thanks for catching that! 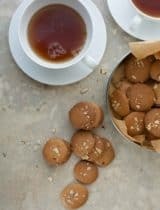 The recipe was tested with both, however the arrowroot is gave the best result and is what I recommend here. 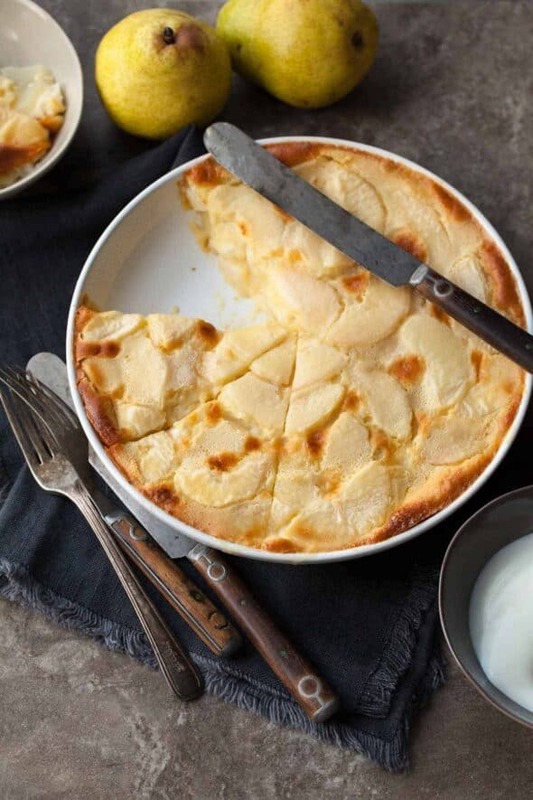 LOVED the pear clafoutis! 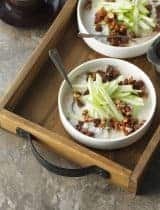 It's become a go to recipe in my house. I want to try a cherry version. What amount of cherries would you use? Thanks! Glad to hear that! You'd want just enough cherries to cover the bottom of the baking dish in a single layer. I'd say maybe 2 cups?